CPMA® is a registered trademark of AAPC. The Certified Professional Medical Auditor (CPMA®) credential is a logical next step for those with strong experience in other areas of healthcare and who are ready to advance their careers in Physician Based Medical Auditing. Who’s this CPMA® Course for? Take your career to the next level with the Certified Professional Medical Auditor (CPMA®) credential. In a physician's office, medical auditing is an essential component of compliant and profitable physician practices. RAC audits, private payer denials and other risk factors are happening more often and physician's are looking for peace of mind and compliance. After all, the risks of being non-compliant with documentation and coding are simply too great. As a CPMA®, your knowledge of coding and documentation guideline will help improve the revenue cycle of nearly all physician practices. Our course also includes detailed overviews of relevant legislation, discussion of regulatory fines and penalties, and special tips and techniques for best certification testing results. We incorporate several different styles of learning to assist you in memorizing the crucial information you need to do the job. Plus, our friendly and supportive staff will give you a constant resource you can rely on every step of the way. Discussion of specific coding regulations and notifications such as NCCI, OIG Work Plan, etc. We've included access to the CPMA Review Blitz. This is perfect for refining, refreshing and reviewing the CPMA material in preparation for the AAPC's CPMA exam. We also include important test-taking tips and strategies to help you pass the first exam. How Does Our Medical Auditing Course Compare? 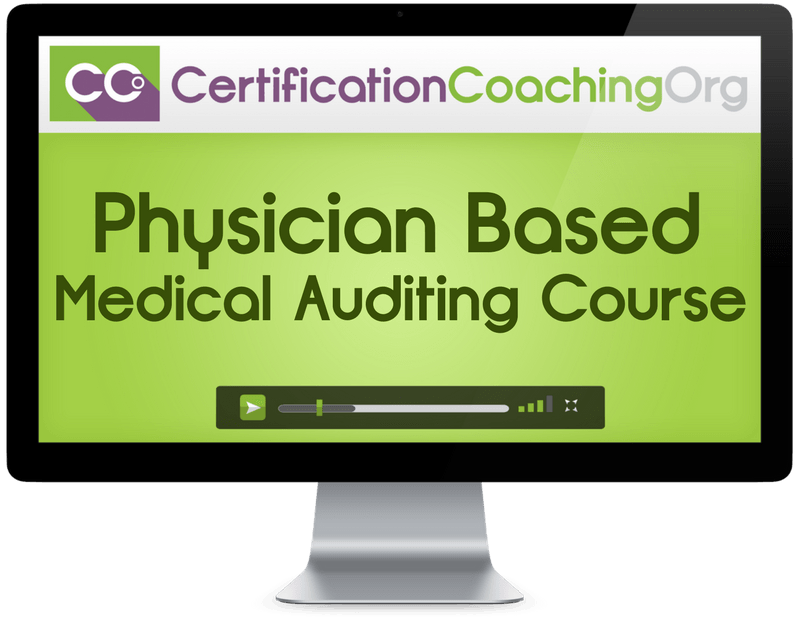 Invest In The Certified Professional Medical Auditor Course Today! Is there a textbook included for the Certified Professional Medical Auditor Course?